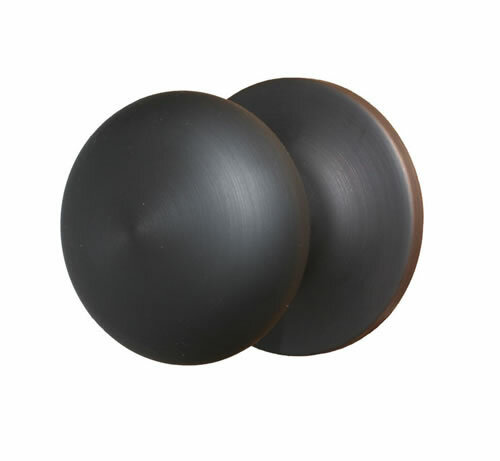 Our Durango Knob is quite popular with its squashed round shape. Similar to the styling of door hardware found in historical homes. 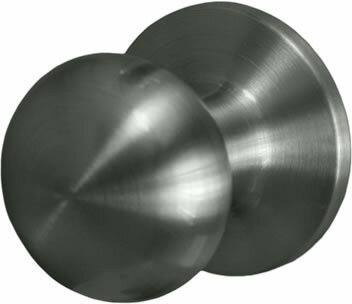 Squashed round door knobs have taken a surge in popularity lately. 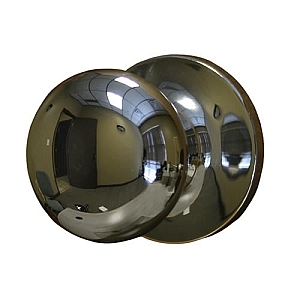 This is an inexpensive doorknob style that brings a lot of attention. It is available in either Satin Nickel, Oil Rubbed Bronze, Vintage Bronze, Polished Chrome or Antique Nickel finishes. 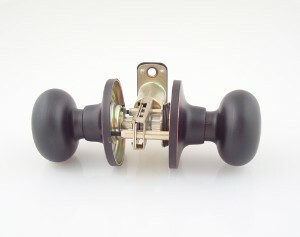 Dummy knobs are also available, a great solution to bifold or ball catch doors where you only need the knob on one side. (Adjustable Backset 2 3/8" - 2 3/4" Standard installation fitting - replaces most existing locks). If you would like your dummy knobs to mount back-to-back you will need a threaded spindle. These are free of charge and are available upon request. ***Vintage Bronze and Oil Rubbed Bronze are quite similar. We are noticing more people prefer the Vintage Bronze because it has more of a dark glossy brown finish with a rubbed look. The Oil Rubbed Bronze is a little lighter and has a matte finish. We have an old door that used a small bore hole. Since the lock needed replacing, the challenge was trying to determine how to do it the easiest. Thankfully I came across the post on this site and that led me to buy a Sure-Loc door knob. Following the instructions in the post, it was easy to replace the knob without having to make a bigger bore hole. Works great! 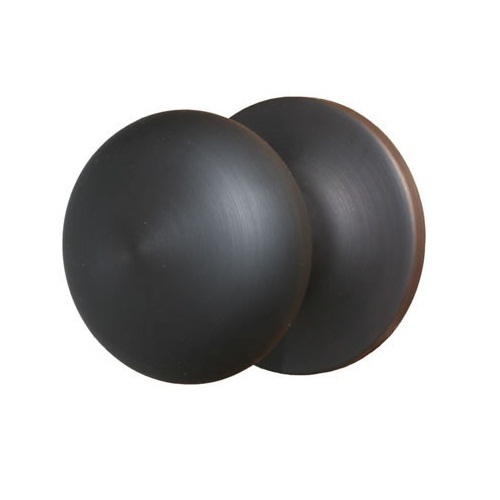 These door knobs are simple, which goes nicely with our contemporary decor. But they add a little warmth, which shiny silver knobs don't. I called to ask the difference between this and the other dark brown knob -- I was told that this one in Vintage retains it's color, and the other one gradually develops a patina from use. I love my new door knobs. Great product for the value. My only problem is that the screws didn't fit the hardware. We had to go to a local hardware store to get screws that fit. 4 stars because of the screws. I bought these because we have a lot of doorknobs to replace and we are on a tight budget. So that being said, the product itself looks really nice once installed. They look high end, but don't feel high end. The knobs are fairly lightweight and I've already had one dent in the middle from a lever on another door that just happens to swing right into the other door if left open. The lock portion on the privacy knobs are also opposite every other door lock I've encountered. They are vertical when unlocked and horizontal when locked. Love the knobs! Great price and high quality product. For the money, you can't beat these handles. Not chintzy and look really good. D.D.H. had them in stock and shipped next day. Perfect! Great products, solid and quality, and what amazing prices! 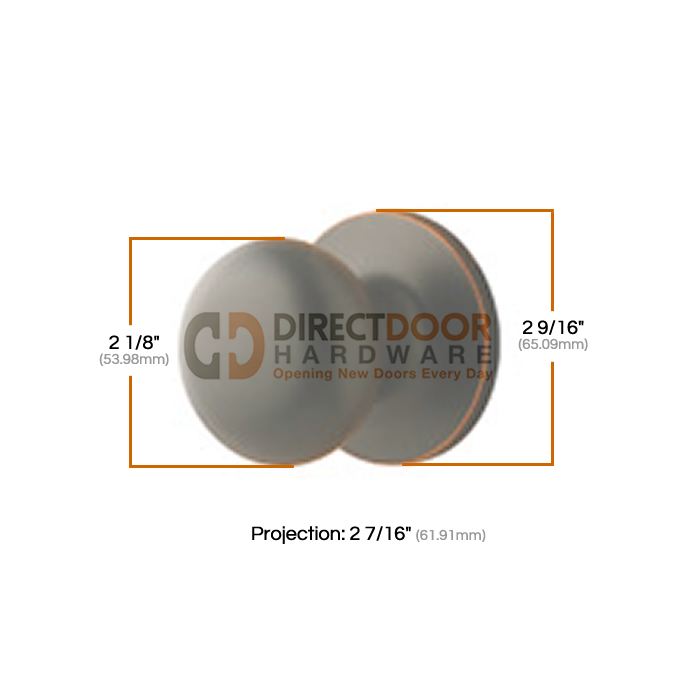 I bought this particular one for a basement door, I still wanted a good looking knob but not a $100 setup, and I couldn't believe directdoorhardware prices! Very good looking and good quality. Would definitely buy from this seller again. what is a double dummy? What is the distance from the door to the top of the knob? I have only 1.7 inch clearance. Are the screws exposed on either side of this door knob/rosette? All residential door hardware (with few exceptions) has screw heads visible on the inside half of the door. 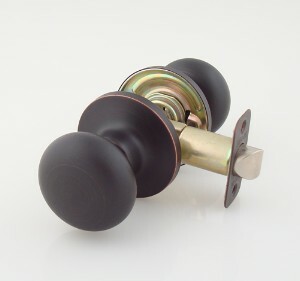 For example, on a bedroom privacy knobset, the outside of the door would have no visible screws (as seen in the product photo) but the inside half of the hardware would be identical other than 2 screw heads visible. This knob sells for approx. $16.50 ea. 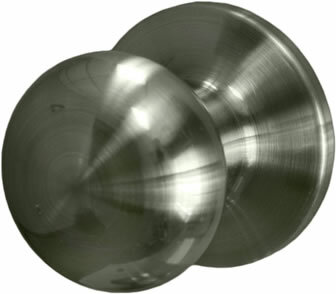 We also carry a brand of hardware called Emtek that does offer a concealed fastener option on their knobs and levers. The cost difference is significant. 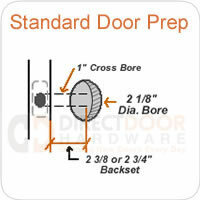 For example, see: https://www.directdoorhardware.com/Emtek_norwich_Doorknob_8121.htm you can choose in the options to have the function be "CF passage" on that knob, meaning no visible screws on either side, but the price is $121.60 ea. Most people don't order concealed fastner, you really don't notice them after install but it is available. If we can help answer any more questions, please call 307-886-9449.